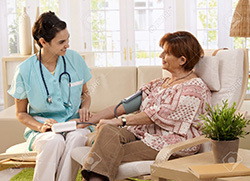 Staffing Services - Unlimited Care, Inc.
As a recognized leader in providing superior nursing services, Unlimited Care, Inc. offers hospitals, long-term care facilities, institutions, and government agencies highly trained nurses to supplement the institutions’ nursing staff. Unlimited Care provides an option that will enable an institution to reduce its current nursing overtime, eliminate staff burnout, and ultimately render consistent quality care. Our comprehensive supervisory model guarantees successful management of all types of patients. This includes the spectrum from pediatrics to the geriatric patient. To ensure qualified personnel, we maintain a stringent credentialing process that includes written and practical demonstrations of clinical expertise, employment and criminal background checks, and continuing education requirements. Private Duty: Unlimited Care will provide highly qualified private duty nurses for any institutional setting. We will supervise and coordinate all scheduling and interface directly with the patient’s family. Our management systems insure The Joint Commission, OSHA, and DOH compliances. Facility Staff Relief: Unlimited Care can provide an institution with either supplemental or temporary replacement of all levels of nursing staff. Community Health Nurses: Unlimited Care will provide either temporary or continual nursing services to schools, community-supported health centers, and any other locally based health facility. Insurance Visits: Directed by any insurance carrier, Union, or HMO, Unlimited Care will evaluate and render care to patients under a Doctor’s supervision. "...she did so much more than was required of her. She not only took very good care of my mother, but she also helped around the house it made mother feel that a friend was there every day. Many thanks to your organization!"